Ana Santisteban born in Cuenca (Spain) in 1990. She begins her musical studies at the age of 8 at the Professional Conservatory “Pedro Aranaz” of Cuenca, under the teaching of Jose Mota. In 2009 she was accepted at the Music Conservatory of Murcia having the opportunity to study with Pablo Barón and Carmen Ros, earning a diploma with Honor (awarded unanimously). 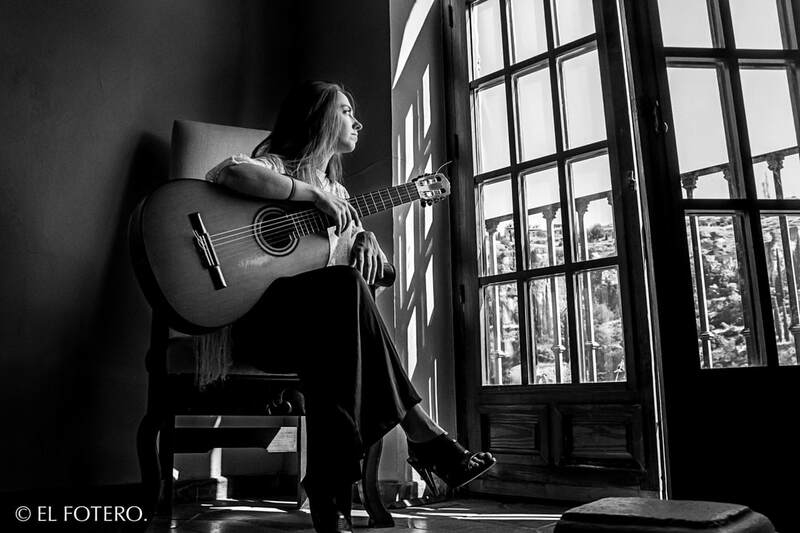 In 2013 she starts at the Koninklijk Conservatory of Brussels, in order to study a Master’s degree with the prestigious and recognized Greek guitarist Antigoni Goni. She is currently studying in the prestigious international guitar class of prof. Carlo Marchione at the Maastricht's Conservatorium. She has performed in different parts of the World, Thailand, Mexico, Italy, UK, Spain, France.. and she has played as a soloist with different orchestras (Young Orchestra of Cuenca, Silpakorn University Orchestra and Chulalongkorn University Orchestra of Thailand and Guitar Orchestra of Murcia) participating in International Music festivals (Orchestra Festival of Giovanilli e International Harrogate Music Festival).